Farmor’s School opened as Fairford Free School on 24th November 1738. The school was originally established to educate 60 boys aged between 5 and 12. 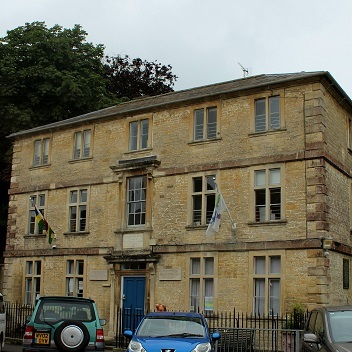 The original schoolhouse, which still stands in the town centre, was funded through donations by Mary Barker, daughter of Andrew Barker, Lord of the Manor of Fairford, and his granddaughter Elizabeth Farmor. The school accepted girls for the first time in 1815, although boys and girls were strictly separated. In 1922, the boys and girls schools were combined under one Headmaster, Herbert Hedges, and the school changed its name to Farmor’s Free School. After the Second World War, Farmor’s opened its doors to students from Lechlade and surrounding villages. Gloucestershire County Council built a new school in 1961 on the site occupied by the school today. The new school took the name Farmor’s School. In 1966, Farmor’s School became a comprehensive school, open to all regardless of ability, background or wealth. Over the next 50 years the school expanded, both in terms of buildings and student numbers. Today it educates around 1000 students of age 11 to 19 from as far afield as Swindon, Oxfordshire and Cricklade. Whilst times have changed, the school’s original mission to provide a good education to the young people who attend it still stands today. For further information about the school’s history, see Fairford History Society’s website. Fairford History Society's website provides more information about the history of the school and the local area.